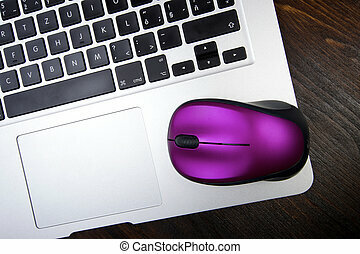 A business man is using the internet and is about to push on the mouse. 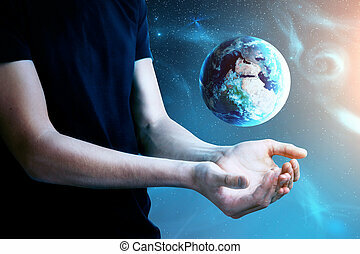 A glow wave is coming out of his finger and into a globe. There is a map of the Earth and technology images in the background. 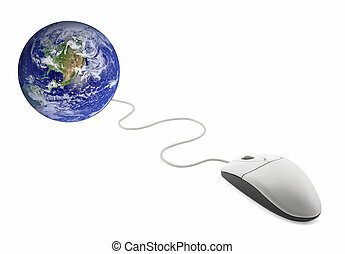 A business man is using the internet and is about to push on the mouse. A glow wave is coming out of his finger. 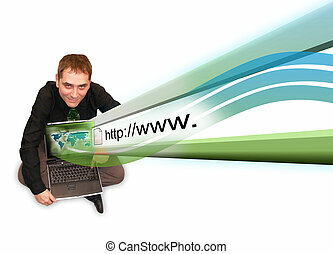 A business man is sitting on a white isolated background holding a laptop with an internet address projected out of the computer. 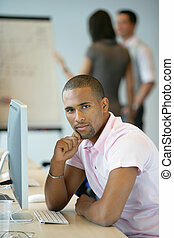 A young man is sitting on a white isolated background holding a laptop and surfing the internet. The guy looks happy with a blue casual shirt. 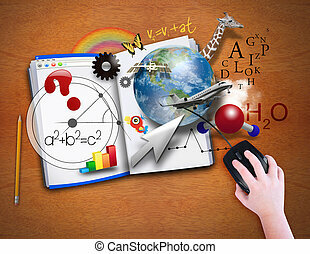 A child is looking at an open book as a computer with math, science and animals coming out for a school or e learning concept. 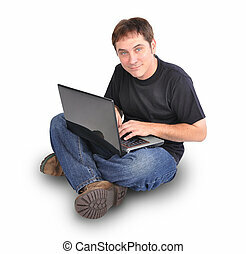 A casual man is sitting on the floor with a laptop and typing. He is isolated on a white background looking into the camera. 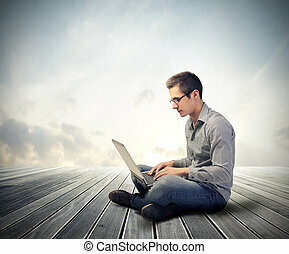 A business man is sitting on a white, isolated background and is working on a laptop computer. 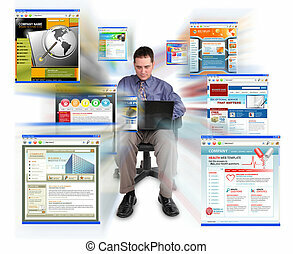 He is browsing technology websites that are zooming out. 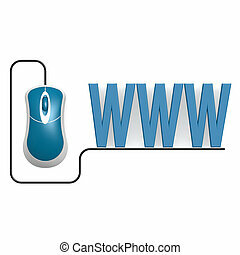 Can represent speed or commerce. 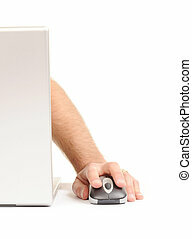 A businessman is about to push on a mouse button to search on the internet. 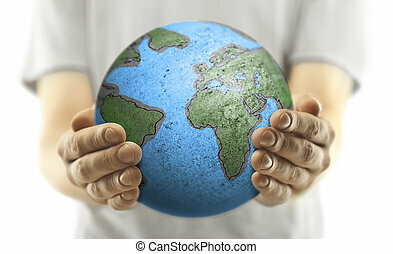 The background is blue and a map of the earth is coming out of his fingertip. 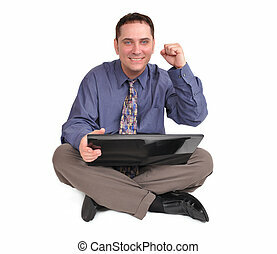 A handsome business man is sitting on the floor and holding a laptop internet computer. His hand is in the air and he is excited and happy. 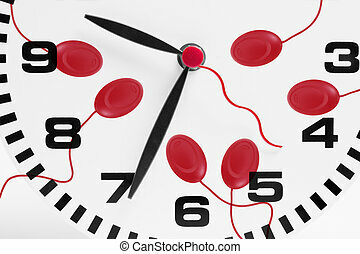 The background is isolated and white. 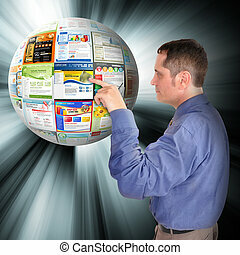 A business man is pointing to an abstract internet ball with websites on it. There are glowing rays coming out of it. 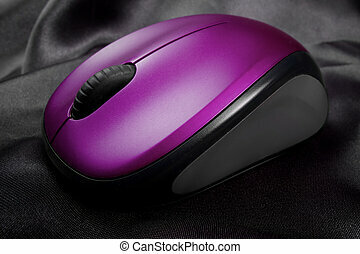 Use it for a technology concept. 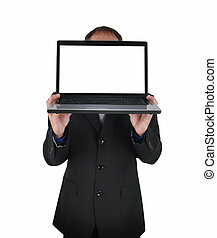 A business man is holding a blank laptop with a white cutout screen for a message. 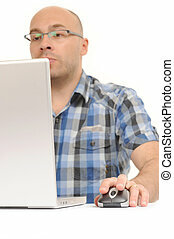 You cannot see his face and there is an isolated background. 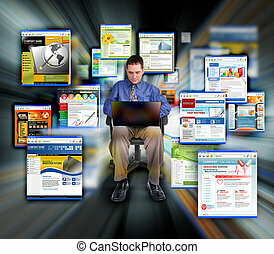 A men and a women are sitting on clouds and holding a laptop and smart phone with technology icons around them. 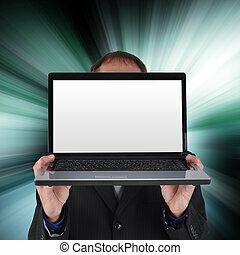 A business man is holding a computer laptop with a blank white screen to add your message. 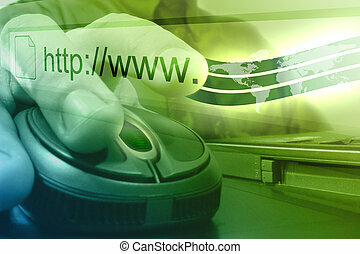 The background is glowing with green and blue technology rays on black. 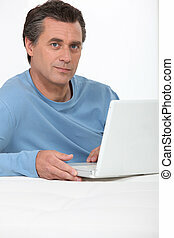 A men and a women are sitting on a black background and holding a laptop and smart phone with technology icons around them.